Happy Holidays! As we close out the first half of the year, the K-5th grade classes have been playing games to improve and use their throwing and catching skills in game situations. All K-5 students played a game called Treasure Battle. Now, the 2-5th grade students are playing a game called Star Wars, and the K-1st graders are playing a throwing and catching relay race. I hope everyone has a fantastic Winter Break! As the weather cools, we are continuing our work on throwing and catching. Third, fourth and fifth grade are learning the proper mechanics of overhand throwing. Kindergarten, first and second grade are working on throwing underhand right now. We will be practicing throwing and catching until Thanksgiving break. We will then start using throwing and catching skills in competitive games. I can't believe it is already the middle of September! The days have been flying by so far. Elementary PE students have spent the past five weeks working on team building and Habit 6, synergize, by playing games and doing various activities with the parachute. Now, the parachute is packed up, and we are moving on to more skill based activities. Kindergarten through 3rd grade are working on motor skills for the next few weeks. They will be improving their skipping and galloping, while also learning differences between walking, jogging and running. They are learning how to find their pulse, and how different exercises affect their heart rates. After we finish working on motor skills, we will be moving on to throwing and catching. The 4th and 5th graders are working on throwing and catching. We are using scarves now to build up hand eye coordination as well as improve reaction times using different challenges with the scarves. They will learn the juggling pattern, and then we will work on the overhand throw with beanbags. That is what I coming up in PE for the next few weeks! I hope the weather cools off soon! Welcome back to another fun-filled school year! 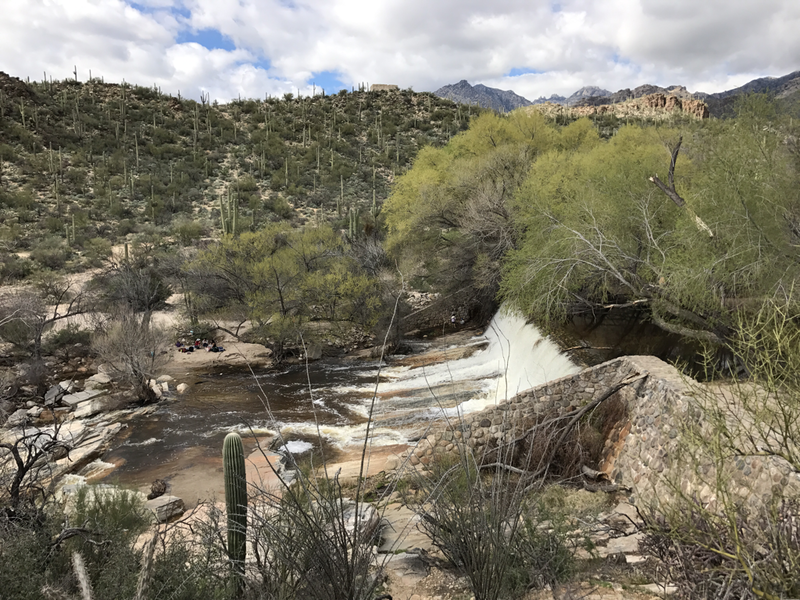 My name is Tim Hall and I am the Kindergarten through 5th grade Physical Education teacher at Tucson Country Day School. The purpose of the Physical Education program at Tucson Country Day School is to encourage life-long physical fitness. This goal will be accomplished by giving students the opportunity to participate in a wide variety of skills, games, and activities. Throughout the year we will be practicing and improving a number of skills, from movement (hopping and skipping, for example) to coordination (throwing, catching, and kicking). We will also perform an assortment of activities and exercises each period that will help improve their level of physical fitness. Games will be a large part of class as well. Students will play both cooperative and competitive games to use the skills they have learned, and to learn ways to enjoy physical activity. Kindergarten and 1st grade will meet twice a week, for 40 minutes each class meeting. Second through fifth grade classes will be meeting once a week for 40 minutes each class. Students in 4th and 5th grade will have activity logs to fill out for their leadership binders. These activity logs are done to promote a physically active and healthy lifestyle by encouraging students to think about and reflect upon their level of physical activity during the week. The activity logs are mandatory homework, and are a part of their grade in Physical Education. Please be aware of when your child is going to have Physical Education, and make sure that they are dressed appropriately for physical activities (proper shoes and clothing for the weather), as well as a water bottle to help them stay hydrated. I am very excited to start the school year, and am looking forward to a fun, healthy and successful year! Happy New Year everyone! 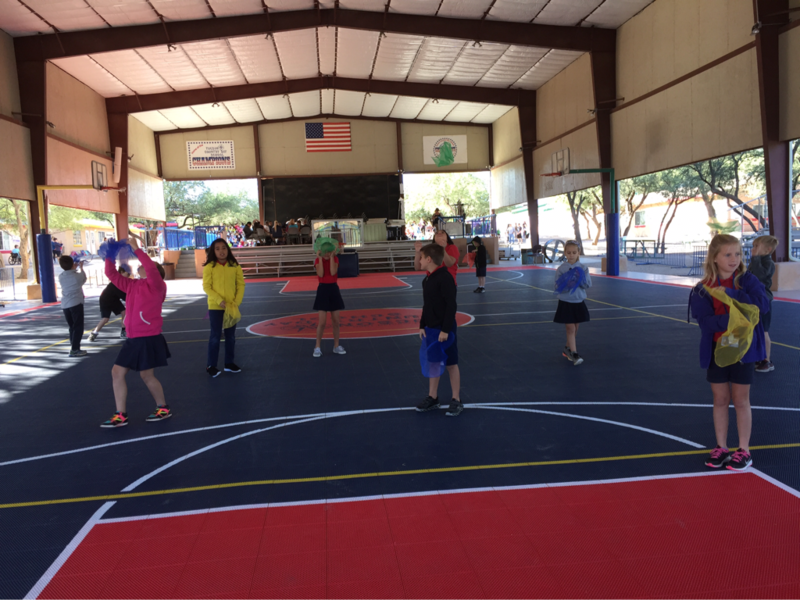 Elementary PE at Tucson Country Day School has hit the ground running to start the new year. All grades have spent the last few weeks working out their legs by playing games on scooters, but now are moving on to bigger activities. 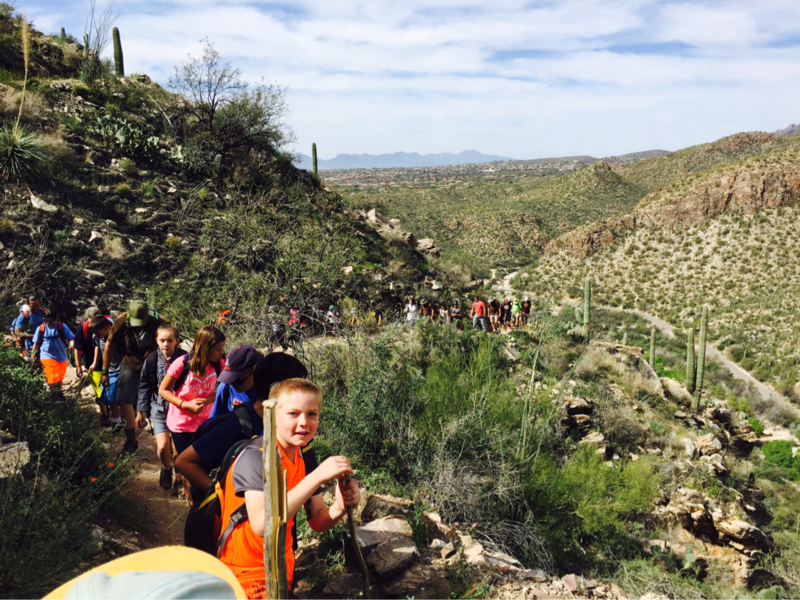 Fifth grade is beginning their unit on hiking in preparation for the 5th grade hike to Sabino Canyon. Mrs. Maddock and Mr. Sarappo's classes will be going on February 20th, while Mrs. Carlson and Mr. V's classes will be going on February 21st. 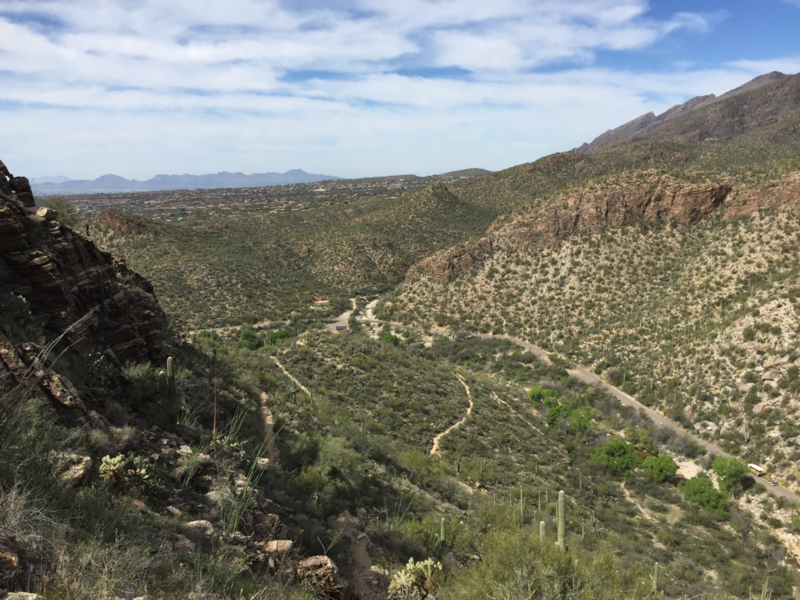 The hike is approximately 6 miles, round trip, and will be an all day hike. Permission slips are going home with 5th grade this week. Please sign and return promptly, as any student who does not have a permission slip will not be allowed to go. There is also a place on the permission slip where parents can sign up to chaperone the field trip. 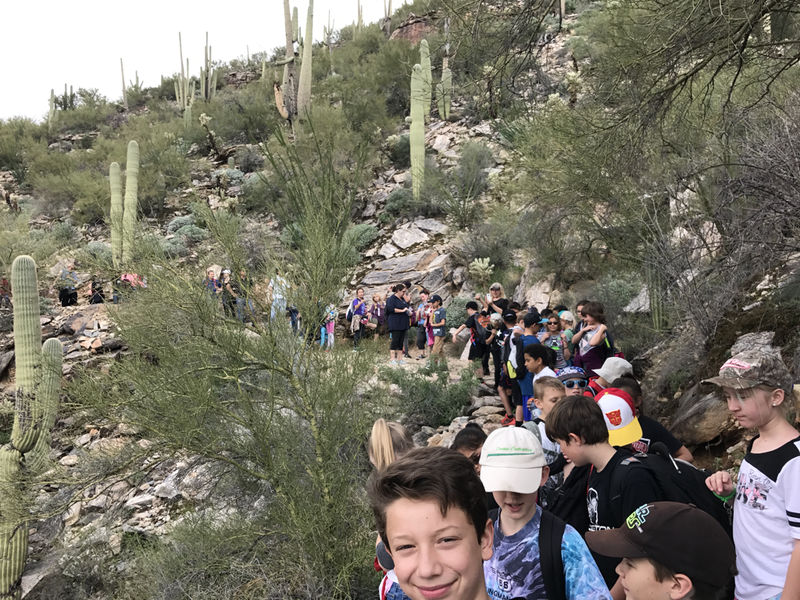 In our hiking unit, students will learn the rules for safe hiking, essentials for hiking, wilderness safety and identification, as well as fire safety. I am really excited for this unit, and I know the students are as well! Kindergarten through 4th grade will be gearing up for our annual Jump Rope For Heart fundraiser in support of the American Heart Association. Packets will go home with students next week, and are due back on March 3rd. All K-5th grade classes will participate in this important fundraiser that we do annually here at TCDS. Students will learn the importance of proper nutrition as well as daily moderate to vigorous physical activity. Elementary PE is off to a great start! Kindergarten through 4th grade classes are going to PE twice a week, for 30 minutes each class. This has been a big change, but it has been great for the kids so far! Fifth grade is still meeting weekly for 45 minutes, due to the nature of their rotations. We have been focusing on Habit 6, synergize, with the parachute for the past few weeks. The parachute has been an excellent tool to show how much more successful we can be when we work together.